It is well documented that in addition to the core symptoms of social/communication deficits and restricted repertoire of behaviors, children with autism spectrum disorders (ASD) often experience other comorbid (co-occurring) conditions. In fact, studies estimate that approximately 70 to 84 percent of children with ASD might meet the criteria for a comorbid disorder or condition. Co-occurring conditions include mental health (anxiety, depression), neurological (seizure disorder), physical (cerebral palsy, atypical gait), and medical (allergies, asthma, gastrointestinal) conditions. In addition, unusual responses to sensory stimuli, chronic sleep problems, and low muscle tone can occur in individuals with ASD. Most parents have had some experience with a child who has difficulty falling asleep; wakes up frequently during the night, and/or only sleeps a few hours each night. Although temporary sleep difficulties are an expected phase of child development, ongoing and persistent sleep disturbances can have an adverse effect on the child, parents and other family members. Indeed, a child’s sleeping problems can quickly become a daily parenting challenge. 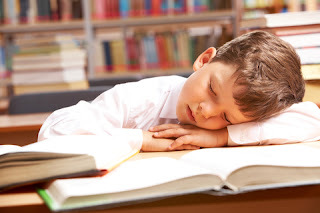 Consequently, we should also expect that sleep problems in children and adolescents with ASD will represent an additional burden on their families, as they attempt to deal with the challenges associated with the symptoms of ASD. Moreover, there is evidence to suggest that insomnia in itself can aggravate autistic symptoms and further impair adaptability. Children with ASD appear to experience sleep disturbances more frequently and intensely than typically developing children. Previous population-based and retrospective clinical studies have found a high rate of sleep onset problems in young children with ASD compared to typically developing children. Emotional and behavioral problems are related to sleep problems in the general child population, and have also been associated with sleep problems in children with ASD. For example, a previous study of children with Asperger syndrome or high-functioning autism found that those with chronic insomnia were characterized by more co-existing emotional and behavioral symptoms than their peers. Although research suggests that children with ASD have a high rate of sleep problems, even when adjusted for other mental health problems, the lack of longitudinal data and population based studies has limited our ability to understand the complex relationship between co-occurring emotional and behavioral problems and sleep difficulties in this group of children. In order to examine the need for increased sleep health care in children with ASD, sleep problems should be longitudinally studied in a total population setting. This approach allows researchers to examine potential risk factors and assess the development of sleep problems over time, as well as plan for early prevention and identification. A longitudinally-based study published in the journal Autism examined the prevalence and chronicity of sleep problems in children with problems believed to be typical of ASD. The children were assessed for autistic symptoms, sleep problems, and emotional and behavioral problems. Overall, the frequency of chronic insomnia was more than ten times higher in autistic children compared to non-autistic children (39.3% v 3.6%). These children also developed more sleep problems over time, with an incidence rate at of 37.5% compared to 8.6% in the controls at age 11-13 years. Likewise, sleep problems were more persistent over time in children with autistic symptomatology, with a remission rate of only 8.3% compared to 52.4% in the control group. Despite few girls being represented in the study, the authors found that sleep problems were significantly less prevalent in girls than boys, and that their sleep problems were also more transient. The presence of comorbid attention-deficit/hyperactivity disorder (ADHD) was a strong and independent risk factor for sleep problems in the ASD group. While emotional and behavioral problems explained a large proportion of the association between sleep problems and autism, children with autistic symptoms had a three-fold increased risk of sleep problems.